Two digital radio stations broadcasting to listeners in Surrey and South London look set to make the switch to the newer DAB+ broadcast standard. 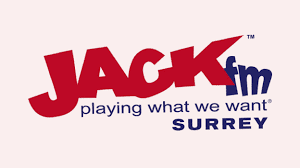 The switch, approved by Ofcom, will allow JACK and JACK 2 to move from mono to stereo broadcasting via the Surrey and South London local DAB multiplex, operated by Muxco. According to Ofcom, JACK will be allocated 40kbps, more than the usual 32 kbps assigned to most DAB+ stations in the UK, but still well short of the 64-96kbps typically allocated in other countries with DAB+ stations. JACK 2 will get 32kbps. Multiplex operator Muxco originally applied to make the switch on 1st August, but as of this morning no changes have yet been made and Muxco has been unable to confirm a switch date at the moment. DAB+ stations can only be heard on newer digital radios. Consumers buying a new DAB radio should look for the Digital Radio Tick Mark, which indicates compatibility with DAB+. UPDATE: 18/08/2016 - the switch to DAB+ has now taken place. Most DAB+ stereo stations use 32kbps? Really?? I'm astonished. Given how absolutely awful 64kbps AAC stereo sounds I dread to think what 32kbps sounds like. Just when I thought DAB couldn't get any more pointless, up pops DAB+ and proves me wrong. 96kbps AAC the higher end you say other countries use is starting to get reasonable, though I'd prefer 128kbps as a minimum. One of the DAB+ stations on the new SDL National Multiplex uses 32kbps, newer new radios can decode it as Stereo and it sounds decent. But only radios with the latest type of chipset. It is frustrating that in Britain we are seeing these operators use as less as possible. 64kbps on DAB+ will be recognised as Stereo by all Dab+ radios, old and new. It would b great if we used 128kbps minimum on old DAB & on +. Ofcom doesn't seem to site much or any care about this. Yes it seems the great hope that is DAB+, is just another way to squeeze on more stations at an ever worse sound quality. Some stations now only broadcast in mono so they can improve the sound quality! For TV the drive seems to be improve picture quality, for DAB it's let make it sound as bad as possible. OFGEM, you are a disgrace. You are meant to serve the public, it seems to me you do not have the publics interest in mind at all. Once Jazz FM Stereo appeared on our Pure Evoke & Pure Mini radios in the East Riding of Yorkshire I had them up-graded them to DAB+ and I am now very satisfied that I can listen to the station and with the quality of the signal that I receive. Is that quality of the signal or quality of the sound? 32kbps might be ok for Trad Jazz, but I think Terry Callier deserves better! Well on newer DAB+ radios the newer chip sets do recognise 32kbps as Stereo. The quality of the sound is fine. Apparently older DAB+ radios will only recognise 32kbps as mono. So although 32kbps seems crap to read about. The DAB+ / mpeg4 format is much needed than old DAB / mpeg 2. My Ford car has the latest bits.